The Lenovo Moto Z and Moto Z Force smartphones have a unique feature: they accept accessory modules, so-called Moto Mods, which attach to their back plates magnetically and via 16 connection pins. At launch, Lenovo showed the InstaShare projector, a JBL Soundboost 6 Watt speaker and a 2220 mAh battery pack, but unfortunately the previously rumored camera module did not materialize. 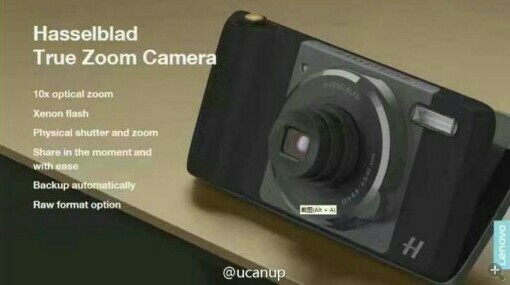 However, now hellomotoHK found information on the Chinese microblogging site Weibo that might indicate that Hasselblad is working on a Moto Z camera module with, a 10x zoom lens, physical shutter button and zoom lever, Xenon flash and Raw capability. Unfortunately, no information on sensor size and resolution has been provided. 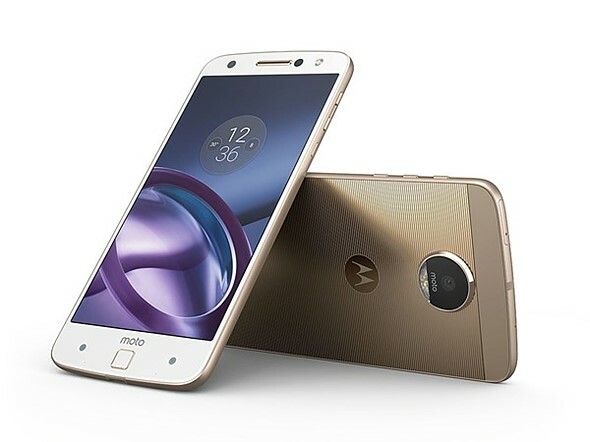 With Raw capture, optical image stabilization and 13 and 21MP sensors respectively the Moto Z and Z Force are well-equipped in the camera department, but a 10x zoom lens with a potentially larger sensor than in the smartphone camera modules would definitely expand the creative potential of the devices. It’s impossible to know how much truth is in this rumor, especially given that the image is just a rendering, but we certainly hope Hasselblad and Lenovo will let us know soon.